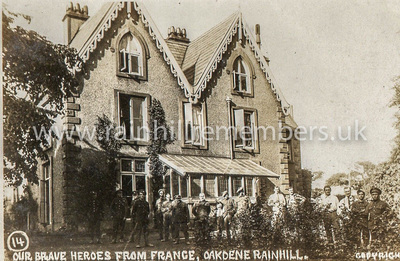 Despite being a small village on the outskirts of Liverpool, Rainhill was the home of three Voluntary Aid Detachment (VAD) hospitals during World War 1. 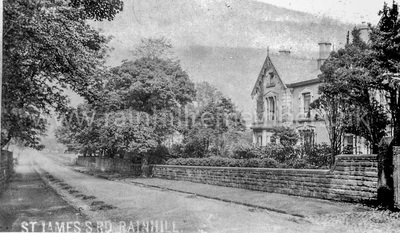 Thousands of injured servicemen from all parts of the UK and abroad passed through Rainhill between 1915 and 1918. The nursing of sick and wounded soldiers during the war was carried out by a number of trained and voluntary nursing staff. Trained nurses were licensed professionals who had spent years training in a hospital with a recognised school. 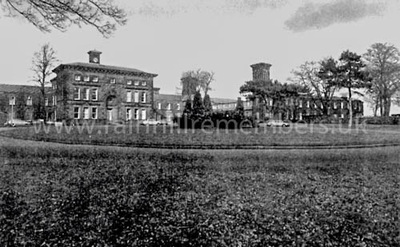 In every large hospital there was a matron, sisters, nurses and probationers. Voluntary nurses – better known as Voluntary Aid Detachments (VADs) – were people who willingly gave their time to care for wounded patients. VAD members were not entrusted with trained nurses’ work except in an emergency when there was no other option. At the start of the war, VADs were known to have ‘fluttered the dovecotes of professional nursing’ due to their enthusiastic desire to nurse wounded soldiers. 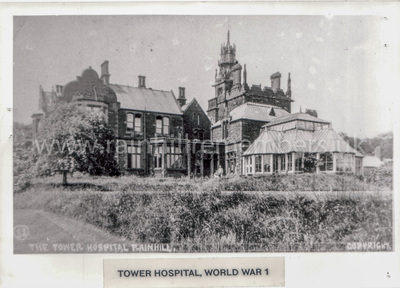 Rainhill County Lunatic Asylum also played a part in treating soldiers with psychological trauma - though it was not designated as a war hospital. Many of the staff who worked there enrolled for military service. ​Please click on the images below for further information. The local community helped to raise the morale of the hospital casualties by organising regular events and outings. View the Entertainments page for more information.